PeapodLife: Toronto Condo Market: what’s REALLY going to Happen? Toronto Condo Market: what’s REALLY going to Happen? It’s ridiculous, really. 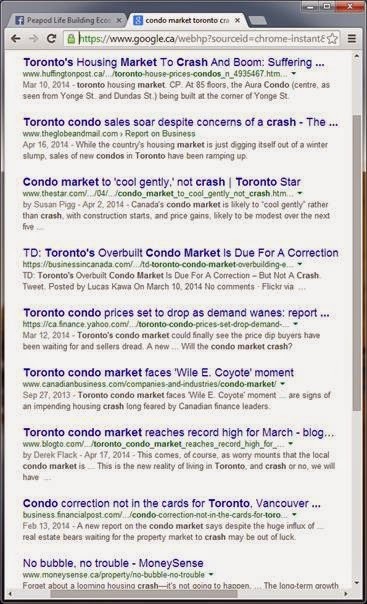 We offer the above screenshot of a Google search to demonstrate how there are as many differing opinions on the state of the condo market in Toronto as there are condo developments under construction. I had an interesting meeting yesterday at my favourite cafe, The Good Neighbour coffee shop in the Junction. My companion was an experienced provider of business services to Toronto condo developers. If there’s one thing we know about our ecosystems, is that you can't put a price tag on the “wow!” factor they induce in people when they first experience one. Forget public art. You’ve seen it once; you’ve seen it a thousand time. A condo developer can spend hundreds of thousands of dollars on a giant piece of metal (or whatever) which will only ever be one thing: a giant piece of rusting metal (or deteriorating whatever). An ecosystem is different. An ecosystem is alive. It grows, changes, adapts, and flourishes. There’s always something new to see. There’s always new discoveries to be made. 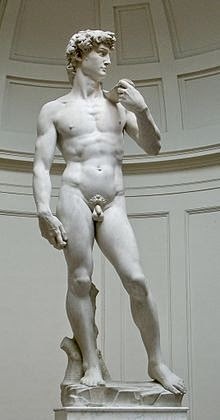 Image: Let’s face it, you won’t be seeing anything close to Michelangelo’s David in a Toronto Condo anytime soon. 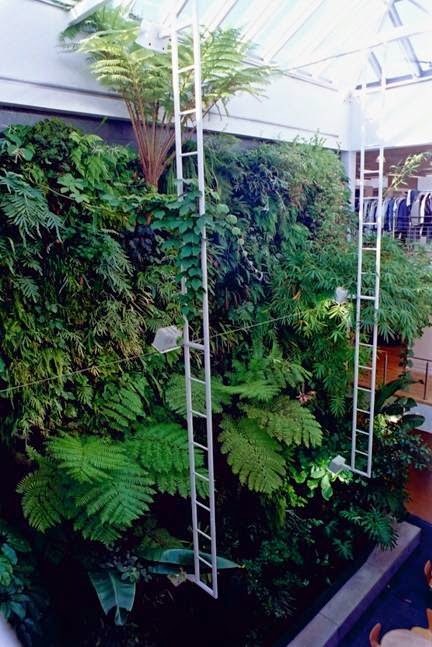 But condo developers can still have a masterpiece in their buildings—what few low-rise or mid-rise condos can match and even fewer competitors will have—a beautiful PeapodLife ecosystem. 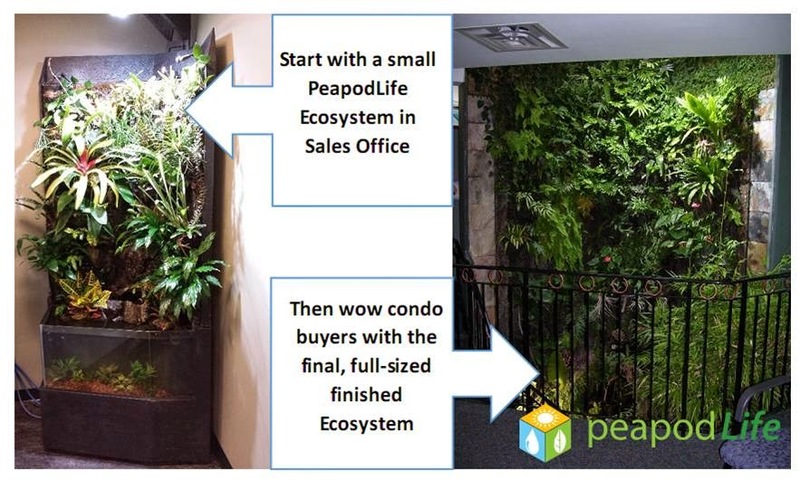 The best part, PeapodLife can install a compact, fully-functioning 5-biome ecosystem in sales offices and model suites, along with high-detailed renderings of what the ultimate full-size ecosystem will look like. The result? Potential condo buyers don’t have to rely solely on renderings or their imagination. They can actually experience the freshness and energy of an ecosystem first hand, and let their imagination run wild as they see images for the full-size system. The bottom line is this: no one knows what’s really happening with the Toronto condo market, but PeapodLife knows what needs to happen if condo developers want to truly differentiate their product in a tightening marketplace with waning demand.